Traveling well is an art. Traveling is an exotic form of mental exercise. Traveling not only unveils numerous less-traversed and exclusive destinations to us, but also provides the best way to learn about the entire universe. India has always held one of the topmost positions in the chart of travel-enthusiasts. India is an excellent blend of beautiful tourist destinations from the snow-capped Himalayan mountains, to the cities bustling with emotions. Whether one is a regular traveler or a sudden backpacker or even a lazy recluse trying to get a glimpse of some unknown destination, India offers a wide variety of experiences. Spiti, Himachal Pradesh– Spiti is a delightful off-beat destination situated at an altitude of 12,500m in the Himalayan Range of Himachal Pradesh. ‘Spiti’ literally signifies “the middle land”; it lies in between Tibet and India. This mountainous area punctuated with quaint, picturesque villages and ancient monasteries and snow-capped peaks enclose it. Spiti offers trekking, mountain biking, camping to adventure freaks. Late September to early December is the ideal time to visit Spiti. Valley of Flowers, Uttarakhand– This place has been crowned as one of the World Heritage Sites declared by UNESCO, and it comes under one of the most beautiful off-place to visit in India. Valley of Flowers is enveloped by the Zanskar mountain range, and during February-March, the tourists can have a glimpse of flowers, bees, butterflies and green vegetation all around to quench their wander-thirst. In monsoon season it becomes a bit difficult to trek to the valley though. December promises a breathtaking view of the snow-capped mountains. Kalap, Uttarakhand: Kalap is a small village in the upper Garhwal region of Uttarakhand. The Supin River fortifies it. About 210 km from Dehradun, this remote village is not easily accessible and as such, is excellent for thrill-seekers and adventures. 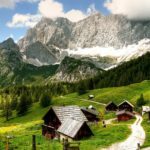 You will need to trek [it is about 7,500 ft above sea level] to reach this remote village that is on par with Manali when it comes down to beauty. Kalap offers a beautiful blend of local delicacies, folklore, rituals and simple village life, away from the hectic work schedule of a city. Patan, Gujrat– Patan is the newest addition to the UNESCO World Heritage Site. Patan stores the historical significance of Rani ki Vav, which was built in the 11th century, displaying exceptional artistry of Maru-Gurjara architectural style. It is an inverted temple structure guarded by a step-well in between. Patan is a well-known shopping destination offering the finest hand-made Patola Sarees. October to March is the most favorable time to visit Patan. Bhimbetka, Madhya Pradesh– This place has also been designated an unusual position as the UNESCO World Heritage Site. Bhimbetka is a rich reservoir of history and art- it contains Stone-Age Caves, ancient rock-paintings, as old as 30,000 years ago, which were the first proof of human life in the Indian subcontinent. These off-beat caves remain closed during monsoons and the best time to visit the caves is from October to April. Ziro, Arunachal Pradesh– The name, along with the village, is small. It is the administrative headquarter of the Subansiri district in Arunachal Pradesh. Ziro is just one of those rare places that have a delightful climate throughout the year. This unique location filled with fleecy and fluffy white clouds, except the monsoon season. It is a home to different varieties of pine and oak trees and offers an astounding vision of verdurous fields, clear sky, and undulating hilly tracts that provide the best subjects for photography-lovers and nature-enthusiasts. The amicable Apatani tribe also welcomes the tourists to their place as they introduce them to their way of life. Varkala, Kerala- Varkala located in the Indian coastal city of Kerala. Tourists flock to Varkala for its bright and pristine beaches, hills, shrines, and lighthouses. One can pay a visit to the Papanasam Beach to visualize traditional sadhus performing holy rituals. Varkala as a weekend destination offers parasailing and paragliding activities, and one of the major landmarks here is the Sivagiri Mutt. Sree Narayan Guru, an Indian social reformer established this mutt. Majuli, Assam– Majuli is not just ratified by UNESCO as a World Heritage Site known for its unique culture, festivals and food, but it is also the largest river-island in the world. Majuli located on the banks of the River Brahmaputra, and it is famous for its local celebrations like the Raas festival, the Majuli festival and the Paal Naam which draw both national and international tourists every year. Manas National Park, Assam– It is a wildlife sanctuary located in Assam at the foothills of the Bhutan Himalayas. Manas National Park is a home of Royal Bengal Tigers which is renowned for its unique biodiversity, exclusive flora and fauna. Manas is one of the adventurous off-beat tourist destinations of India where tourists can come for adventure in the densest recesses of a jungle. Tawang, Arunachal Pradesh– Tawang is a hill-town situated in the north-western part of Arunachal Pradesh. This picturesque town is a holy site depicting relics of Tibetan Buddhism in India. It is popularly known as the birthplace of the sixth Dalai Lama. 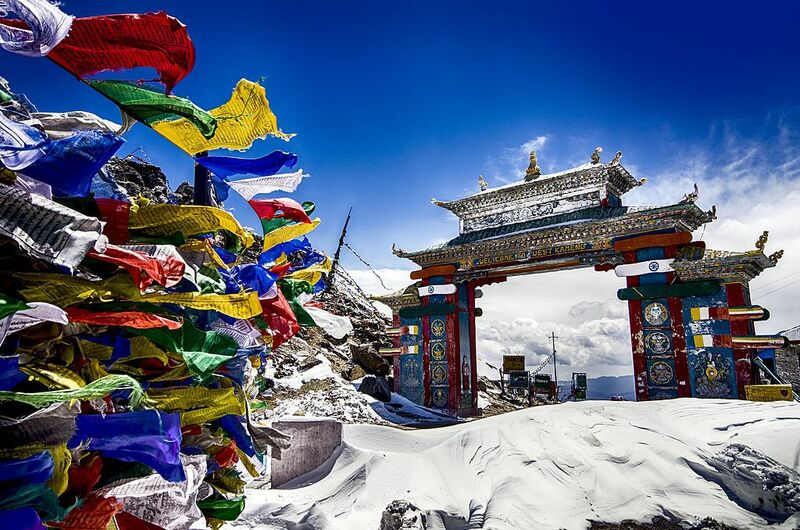 Tawang offers a multidimensional picture of Tibetan Buddhist culture. Other places worth visiting are the Tawang Monastery and Taktsang Gompa and can embrace themselves with spirituality. The Sela pass, Bumla Pass, the Shongatser Lake, Nuranang Waterfalls, Pankang Teng Tso Lake and Gorichen Peak are also famous as part of the Tawang tour package. Mawlynnong, Meghalaya– Mawlynnong has been awarded for being the cleanest village in Asia. It is an eco-friendly spot situated in the Eastern part of Khasi hills in Meghalaya. Apart from the natural Living Root Bridge, tourists can also spend their holiday here by going to the Church of the Epiphany, Borhill Waterfalls and the Sky View Point. The place is home to exotic birds and butterflies. So, it is now time for you to pack your bags, do your research and plan your trip with the best India Tour Operator. Go on that vacation that you so deserve! Explore the unexplored and rejuvenate your soul. India is ready to offer you plenty!